Bitcoin price: BTC returns to $10k but will it keep rising? Will it rise to $11k again? 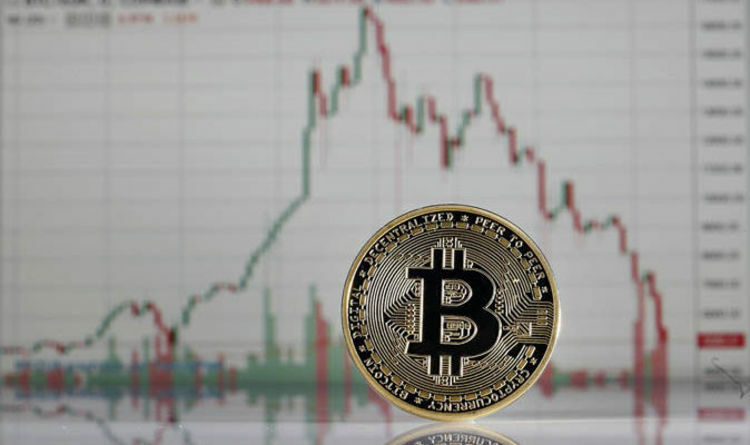 The value of Bitcoin fell to its lowest since February 26 on Wednesday after the US Securities and Exchange Commission announced it will require digital asset exchanges to register with the federal agency. The announcement wiped more than $1,000 off the price of Bitcoin, the world’s biggest and best-known digital currency was down 7.53 percent at $9,924.03 on the Luxembourg-based Bitstamp exchange. Bitcoin quickly fell 10 percent amid the concerns of tightened regulation – around half the value it was trading at last year. The value of Ethereum, Litecoin and Ripple also dived following the news. Bitcoin is currently trading below $10,000 at $9,424.20 with a market cap of $32,797 billion, according to CoinMarketCap.com. The cryptocurrency started trading on Thursday at $9,906.80 and reached a high of $10,135.70 at 9.45am. Bitcoin is now in recovery mode following the volatility of Wednesday, and the SEC announcement. The SEC also warned some of the unregistered and therefore illegal online trading platforms can appear legitimate. “The SEC staff has concerns that many online trading platforms appear to investors as SEC-registered and regulated marketplaces when they are not,” the statement added. However the SEC announcement was not the only news to have a knock-on effect on the price of Bitcoin on Wednesday, as experts attributed several factors to have been a cause. The news of a potential hack on Binance – the world’s biggest and most popular cryptocurrency exchanges – weighed on the asset. On Wednesday, it was also revealed the trustee of collapsed Japanese bitcoin exchange Mt Gox, Nobuaki Kobayashi, had liquidated some $400 million in bitcoin and bitcoin cash over a several-month period. Bitcoin is down around 50 percent from all-time highs near $20,000 it reached in December, it fell sharply since then amidst ongoing fears of government regulation which plagued the cryptocurrency. The cryptocurrency has plunged nearly 20 percent this year because of concerns about a possible crackdown by South Korea.